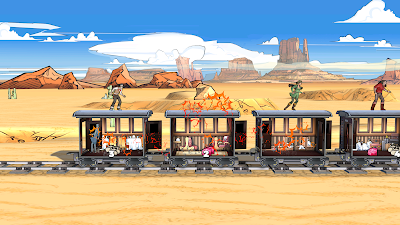 How Lou Sees It: Colt Express Steams to Digital Formats Today! 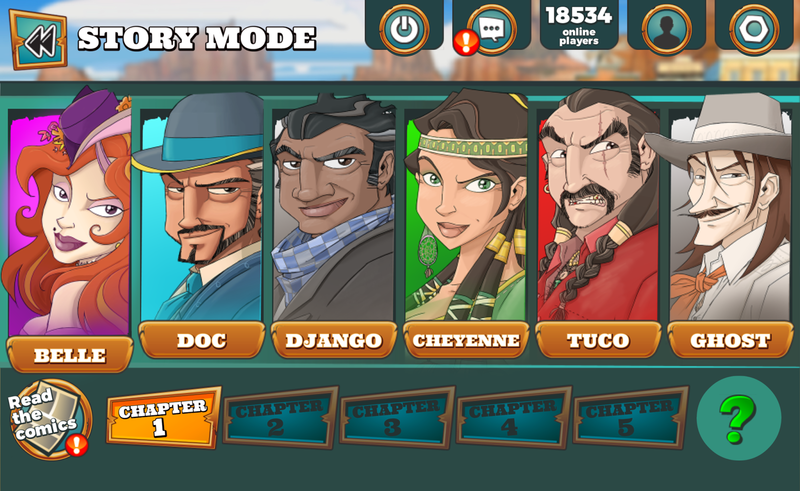 Colt Express Steams to Digital Formats Today! 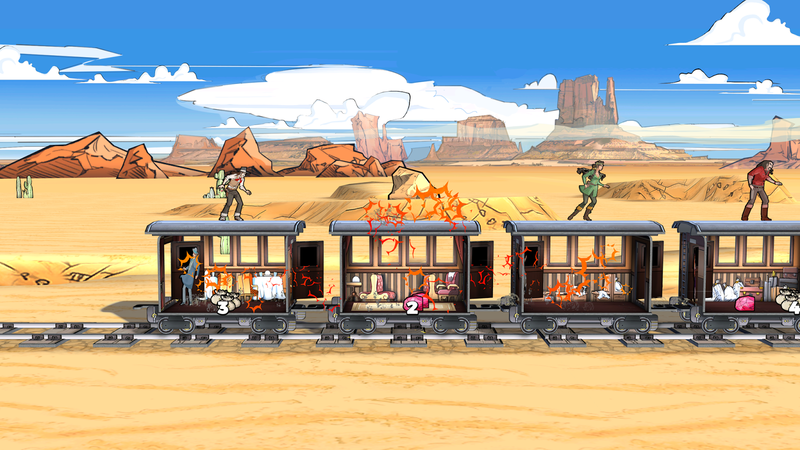 Check out the official press release about the digital version of the popular game Colt Express! Enter the Wild West with Colt Express as the Digital Adaption of the Award-Winning Board Game Steamrolls iOS, Android, and PC Today (11/28/16). 6 Characters, 30 Single Player Chapters, and Online Multiplayer Bring Hours of Fun to the Role of a Train Robbing Bandit in this Turn-Based Strategy Game. Paris – November 28, 2016 - Asmodee Digital, an international publisher and distributor of digital games, in collaboration with Frima Studios, a leader in the entertainment and innovation industry, announce that Colt Express is now available for iOS, Android, and PC. Colt Express is a digital version of the Spiel des Jahres and Ace d’Or award-winning board game which has sold hundreds of thousands of copies worldwide, and players can now pick up the turn-based strategy game on their favorite mobile device for $6.99, or on PC via Steam for $9.99. Colt Express takes players to the Wild West where they must practice good strategy, with the use of cards, to maneuver around a train to collect as much loot as possible. There’s an extensive single player mode that features six unique bandits, each with their own goals and challenges, and 30 graphic novel stylized chapters – 5 per character. 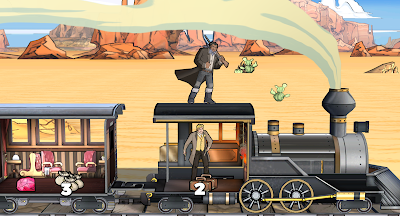 There are also exclusive game variants to unlock in the story mode that drive the train robbing action even further. 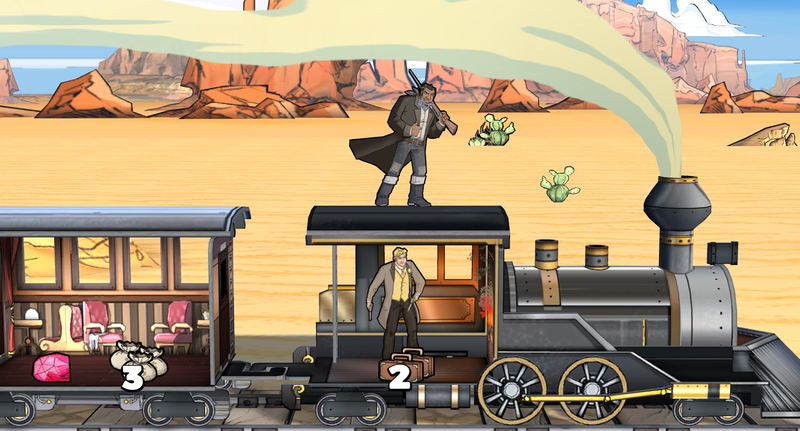 Players can also take their train robbing tactics online to compete with other thieves through online multiplayer and worldwide leaderboards that update in real-time. To make playing against friends easier, there is a Friend’s List option that enables users to add others to their list so they can choose to challenge them at anytime, anywhere. Colt Express, the famous train robbery game and Spiel des Jahres winner, is coming to digital. In Colt Express, players plot step-by-step actions with cards that move them around the train, take down other players, and pick up loot. After the scheming phase, dive into the action to take the most loot from the wagons. There is not enough for everyone, and a marshal is guarding the train so soon enough, bullets do the talking. Players must rethink their strategies on the move in this fast-paced game. Playable solo or with friends worldwide in multiplayer. Asmodee Digital, a fully owned subsidiary of the Asmodee Group, is an international publisher and distributor of digital games with operations located in Europe, North America, and China. Asmodee Digital manages the creation, design, development, publishing and marketing of board and card games on leading digital platforms for Asmodee studios (Days of Wonder, Fantasy Flight Games) as well as for third party publishers. The Asmodee Digital catalogue includes best-selling digital games such as Ticket to Ride, Splendor, Small World 2, Mysterium, Potion Explosion, Mr Jack Pocket and digital versions of many other well-known board games. Ludonaute is a French publisher of board games, based in Istres. Founded in 2009 by a pair of school teachers that are passionate about games, the company has published 11 titles to date. At first keeping their activities confined to the French market, the distribution of Ludonaute games quickly became global. Today, Ludonaute’s products are sold in 24 countries over three continents (Europe, Asia, North America) in more than 20 languages. Ludonaute’s editorial focus could be defined as: "Games that tell stories". The themes developed by Ludonaute summon imagination and mythology to transport players into unique playful universes. - The Little Prince - Make me a planet (a tile management game based on the classic little Prince license) The Ludonaute games have received many game awards in France and abroad. The most prestigious of these awards (Spiel des Jahres in Germany) was awarded in 2015 to Colt Express, a turn-based trainrobbing card game published in 2014.